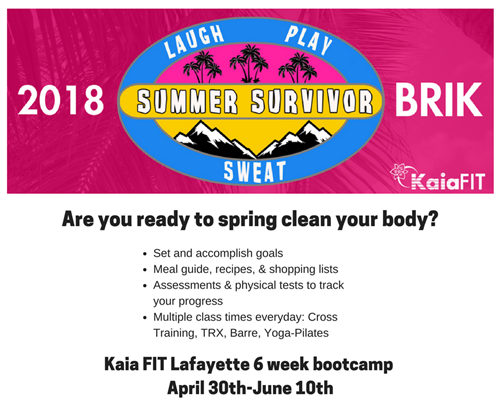 Kaia FIT BRIK Bootcamp April 30th - June 10th! Join us to create building blocks with which to build a healthy foundation for improved health and fitness. It's time to push past limits that once seemed impossible. Our BRIKs Boot Camp sessions are offered three times a year and are designed to help you reach your health and fitness potential.